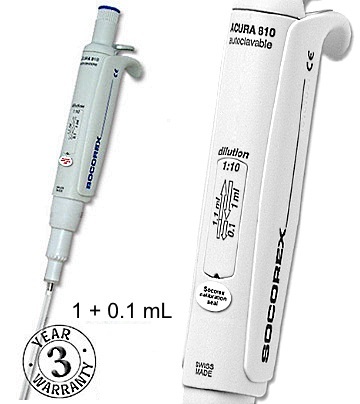 The Socorex Acura 1:10 Model 810 Dilution Pipette is an air displacement pipette with two pre-calibrated volume steps, allowing sequential pipetting of 1 and 0.1 ml of the same liquid. 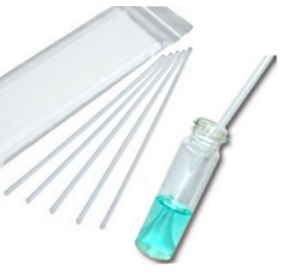 Metal nozzle is designed to use polypropylene straw tips in place of regular pipet tips, to aspirate from narrow or deep reservoirs such as Stomacher® bags. 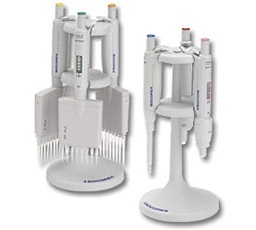 The Acura Model 810 Dilution Pipette is an ideal alternative to graduated glass pipettes when performing serial 1:10 dilutions in bacteriology. 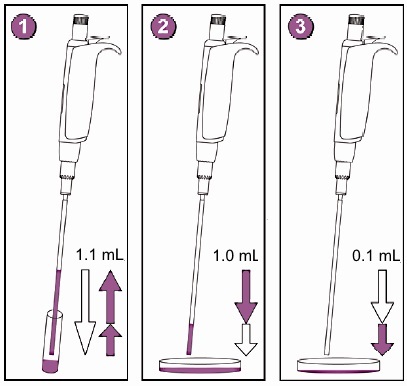 Depress plunger button in full, then release slowly to aspirate 1.1 ml. 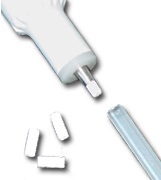 Step 2) Depress plunger button to first stop thus dispensing 1 ml in petri dish. 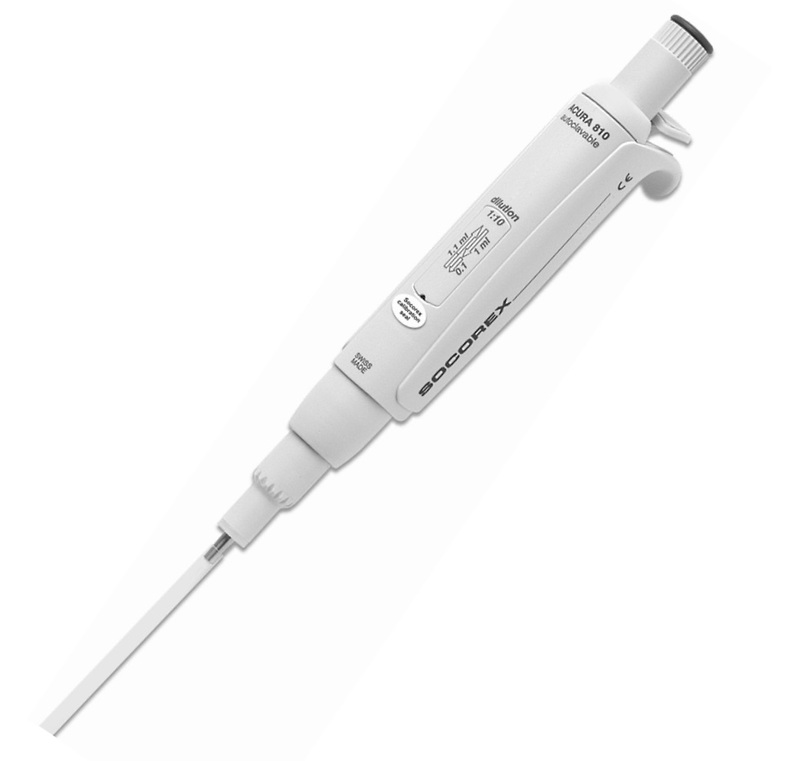 Depress plunger button to second stop thus dispensing residual 0.1 ml in the next petri dish. The JustipTM ejection system allows instant height adjustment (± 2 mm) of ejector for best fitting of straw used (optimal distance). 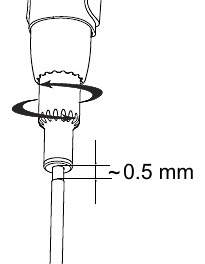 Set correct position (~0.5 mm space between tip and ejector) by rotating ejector screw (< LO – HI >). 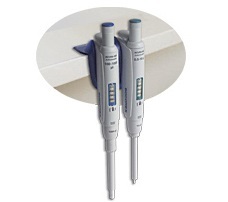 Click stops prevent any unwanted change while pipetting.